Upon arrival, the festival grounds just made me feel happy with the local expo booths and the numerous amounts of people dressed in green for Saint Patricks day. 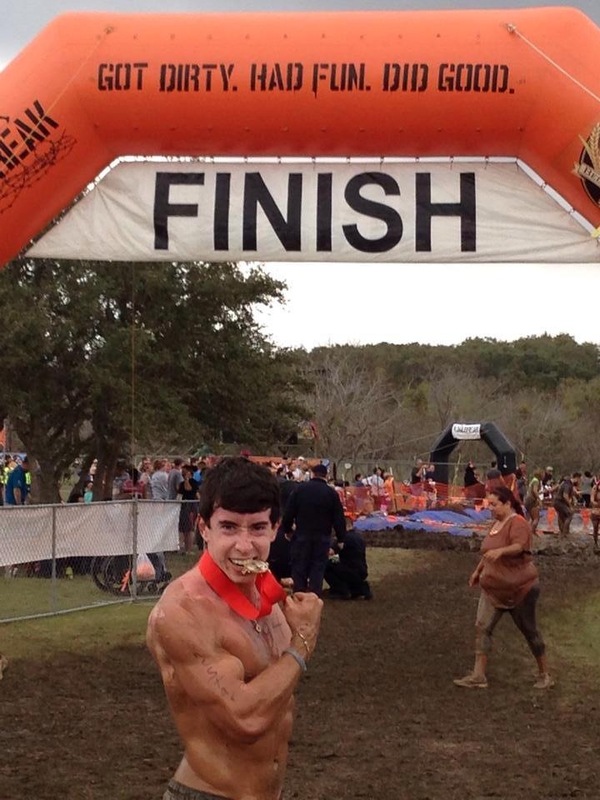 This was one of those races that I wish i had worn something a little more silly when i saw everyone else, the starting heat was filled with guys in speedos, tutus, girls wearing crazy wigs or colored their hair and wearing custom made shirts with some dirty joke on it! AND AN INFLATABLE SLIDE ! All in all the main course was really really fun to do, I would recommend the race for absolutely everyone of all athletic levels. The terrain was very friendly, except for some rogue grass spurs that occasion pokey rocks while crawling, and the distance was a very nice 5k. 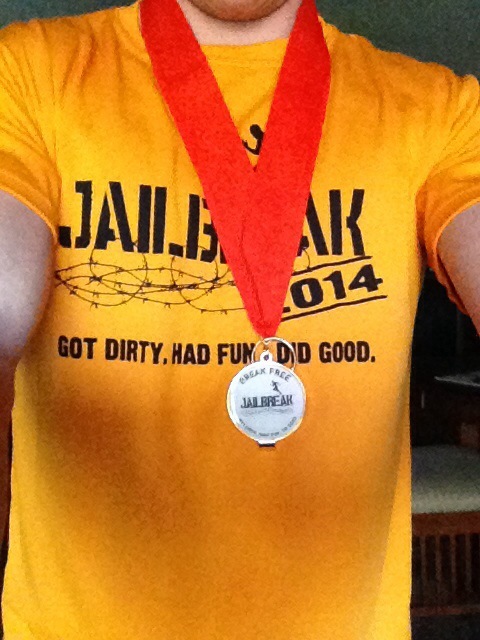 The medal was actually pretty cool because the front had the jail break logo, and the back had a bottle opener. And the finisher shirt will make a nice addition to my running shirts, its a lighter Orange color that fits on the larger side but feels like your wearing a cloud because the fabric is so breathable and soft.